Easter this year was a good mix of relaxing, family and friend time, and chocolate consumption. All the things any calendar holiday should be! 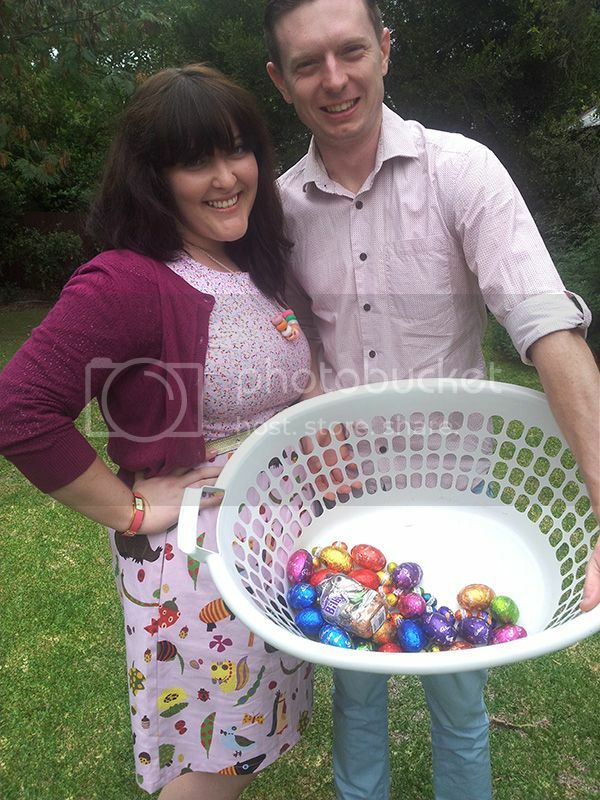 We spent Sunday with my family in the Hunter, partaking in a huge easter egg hunt that my mum orchestrated. 311 eggs split between 9 'kids' is quite a lot of chocolate and a huge amount of fun. We never prepare properly with cute baskets though, so we're always left scrambling for un-photogenic egg holders, like washing baskets, enviro-bags, buckets and school bags worn on the front like a pouch (one brothers invention, so he could have both hands free for egg scooping). Joshua took home this years winners prize of the Chocolate Bilby, like a total champ, and I felt like I'd won by default, naturally. Hope your Easter was a good one too!